Jerry Patterson, current Land Commissioner of Texas and 2014 candidate for Lt. 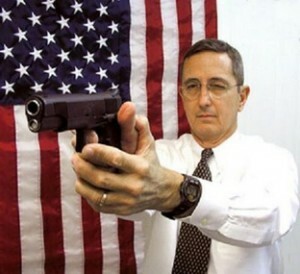 Governor, was in the Texas Senate in 1995 when he wrote and helped shepherd the Texas concealed carry law. And now he is speaking out about open carry. As we reported yesterday, the Dallas Morning News has editorialized against Representative Lavender’s proposed open carry bill and Commissioner Patterson fired back.